Collecting your presaves is quite easy. One day ahead of your release you should receive an email with a link to a private page where you can provide the link(s) for your selected DSPs. 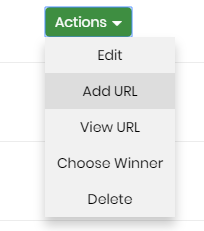 However, if for some reason you didn't receive an email, you can login to your user dashboard -> campaign manager and click "add url" under "actions".